Shop card readers, writers and encoders that help accurately read and write on the tracks of your credit cards, ATM and other bank cards, IDs and drivers licenses, transportation tickets, money and gift cards, grocery and club cards and and membership cards and other plastic cards. Use card readers, writers and card encoders for your low and/ or high coercivity requirements on applications from point of sale transactions and access control to self -service applications. 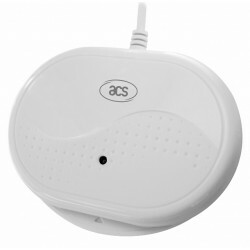 Specifically designed to cater to the US market, ACR3801 is an FIPS 201-compliant contact sma.. The USB (Universal Serial Bus) Keyboard Emulation Swipe Reader is a compact magnetic stripe card r..